TASHKENT STATE AGRAR UNIVERSITY - Branch of the Tashkent State Agrarian University held a competition among the faculties of the competition "Tafakkur sinovlari"
Branch of the Tashkent State Agrarian University held a competition among the faculties of the competition "Tafakkur sinovlari"
On April 8, in the hall of the branch was held the branch stage of the competition "Tafakkur sinovlari" among the faculties. The teams demonstrated their knowledge and skills in three contests. The teams first introduced the history and conditions of the faculty they are studying. The second condition is the condition of "Blitz Questions", which assesses students' knowledge capacity. Third Condition the scenes prepared by team members were shown on the subject of "Problem and Solution". Under all three conditions, the jury assessed the teams' performance based on the criteria of the contest and evaluation criteria set out in the Charter. 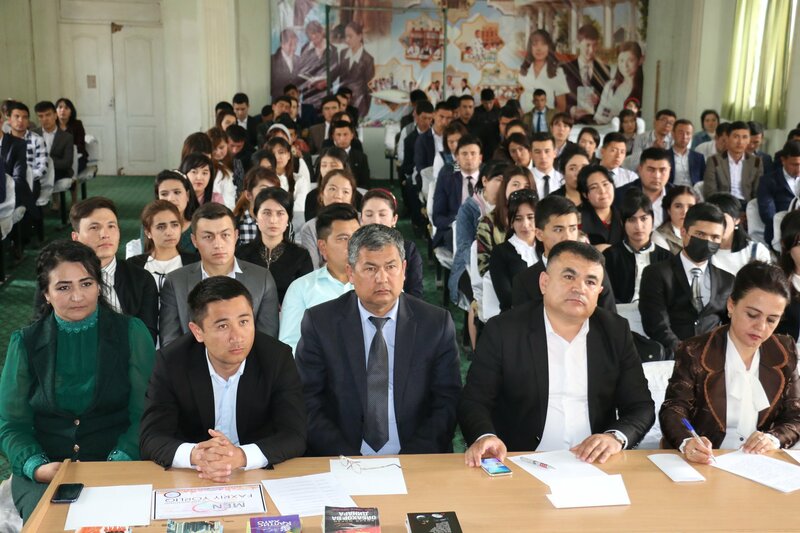 According to the results of the competition, the team of Agrobiology "Uzbegim" won a total of 58 points, "Turon" of the Faculty of Plant Protection and Agrochemistry, with a total of 54 points, and the "Bilimdonlar" team of the Faculty of Forestry and Fruit and Vegetable Production took the third place with a total of 56 points.